INTRA GROUP are well-known cement wall panel plant manufacturer in Hyderabad. This Cement wall panel plant is generally more efficient and also safe to work on level surfaces which minimize material handling. 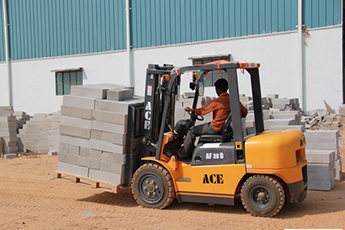 Our motive is to provide economical construction equipment and economical construction machines. Our cement wall panel plant can be quickly and conveniently installed and has various applications in the field of commercial offices, hotel, entertainment, hospitality and retail. We compete with ourselves in order to improve our products as well as development standards, to be more effective in today’s fast growing and also challenging market. Prices which are quoted for these products are market competitive rates. We not only develop professional relationships with our prompt service but also try to develop personal relationships with our clients. From the design stage to production and delivery, Our team members focused on quality first and foremost. We are trained to spot and replace any product that does not meet our high-quality standards before it leaves our industry and arrives at your jobsite. We firmly believe that plants and machinery which we provide are superior to any of our competitors in all the markets we serve.